Alexandra earned a Bachelor of Arts in Art History and French at Washington University in St. Louis (Mo.) and completed a DEA after earning a Master of Arts in Art History at the Université de Paris-IV Sorbonne (France). As a student, Alexandra was drawn to study abroad straight away. A high school travel program in Western Europe inspired her to complete study abroad programs in Florence, Italy and Caen, France as an undergraduate. Before joining CEA, Alexandra started her career as a one-person office Program Coordinator for CAPA International Education in Paris, where she gained experience in hands-on programming. Through experience and professional development, Alexandra has taken a particular interest in questions of health & safety abroad, and how meaningful integration can help students better understand their host environment and, consequently, stay safer while studying and travelling abroad. Originally from Nova Scotia, Canada, Alexandra also lived in the U.S. for many years, as well as France, Italy, and Greece. She often tells students that, "studying abroad is not easy, but when home starts to feel foreign and your host country starts to feel like home, you know that you have been profoundly marked by your experience." Christopher holds a Masters of Arts in French from New York University (N.Y.) and a Bachelor of Arts in Economics and French from Auburn University (Ala.). Prior to joining CEA, Christopher was an Instructor of French at Clemson University (S.C.). 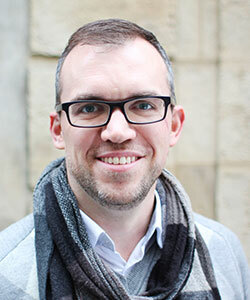 In addition to his teaching responsibilities, he facilitated study abroad programs for Clemson's College of Art, Architecture and Humanities, and directed a summer language program in Paris. As a long-time U.S. citizen living overseas, Christopher thinks that "students should be increasingly aware of the monumental competition they will face in an increasingly globalized job market. Learning languages and developing an ethical and responsible contact with non-U.S. cultures through structured study abroad programming is one way in which to do so." * Digital Video Conference (DVC) Presentation, U.S. Department of State, Africa Regional Services, Paris, France (with US Embassy in Cotonou, Benin). Activism and the LGBT Community. June 2013. Digital Video Conference (DVC) presentation, U.S. Department of State, Africa Regional Services, Paris, France (with US Embassy in Brazzaville, Congo). Study in the US. November 2013. 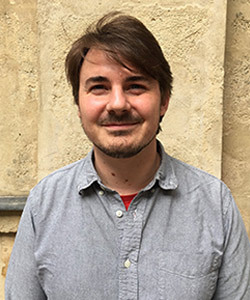 Devon holds a Master of Arts in International Relations and Geopolitics from l'Institut d'Etudes Politiques, Toulouse, a Bachelor of Arts in Global Studies, and a Bachelor of Fine Arts in Dance from the University of California, Santa Barbara. Before joining CEA, Devon taught English at Lycée Saint-Sernin (Toulouse, France), while assisting the Education Abroad Program through the Toulouse-based University of California study center. A position in event management then brought her to the French Riviera in 2007. A big part of Devon's experience abroad has been what she calls "life learning." Managing the day-to-day ups and downs that come with life in a foreign country, like figuring out the French grocery store, getting the broken sink fixed by the Toulousain plumber, mastering the red tape at the Préfecture, and trying to find humor along the way. Devon believes that "if you can find the funny, you can get through any situation, wherever your adventures may take you. You may even find inspiration for a great blog post while you're at it!" 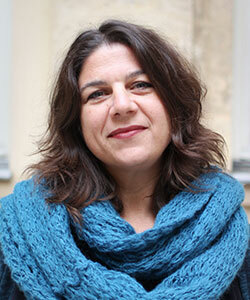 As a professor of French as a Foreign Language, Anne-Cécile also teaches at the CEA Paris Center. 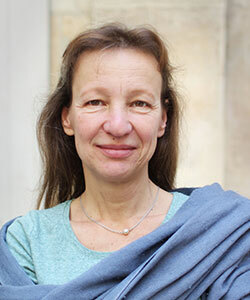 Anne-Cécile holds a Master of Arts in French as a Foreign Language from the Université de Paris X–Nanterre. 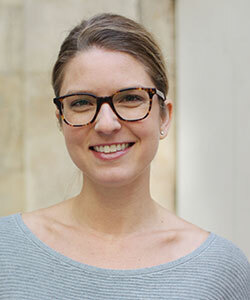 Prior to joining CEA, Anne-Cécile coordinated the cultural programming for Northwestern University (Ill.) students at l'Institut d'Etudes Politiques de Paris. After receiving her M.A., Anne-Cécile moved to Amsterdam for six months; however, her experience lasted four years. Even though she stayed in Europe, Anne-Cécile encountered many cultural differences which she overcame with patience and an open mind. Her fondness of travel and discovering new cultures took her to Romania, Croatia, Uzbekistan, Italy, Lithuania, Latvia, Estonia, Finland, Portugal, Spain, Ireland, Germany, Poland, Canada, and the U.S. Her next dream destination is Iceland, with its magical landscapes, self-empowered people, and delightful traditions. Anne-Cécile also taught French as a foreign language in France, UK, Hungary, and the Netherlands. 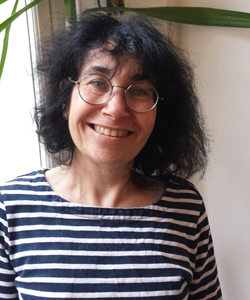 In addition to her teaching and administrative positions, Anne-Cécile has been a contributing author for several French Language textbooks, developed and published by Clé International. Her dedication to humanitarian work has also led her to positions teaching literacy as a volunteer for non-profit organizations throughout her career. Elisa supports the Academic Dean, faculty, and students at the CEA Paris Center, and acts as the main contact for Custom Program visiting faculty. 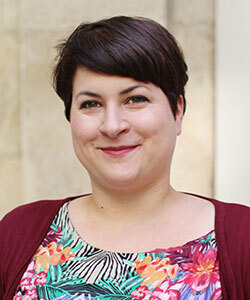 In this capacity, she often finds herself working with faculty to integrate the city of Paris into their curriculum and bring the course to life. Elisa earned an Associate Degree in Tourism and Hospitality from the Lycée de Tourisme du Val de Loire, after which she spent two years studying at Westminster College in London. Elisa has 15 years of experience in academic administration for Study Abroad programs; prior to joining CEA, she held administrative positions in the hotel and tourism industry, taught English to children in Cambodia, worked as a Tea Lady in London, and as an extra on a film set in Hong Kong. Elisa spent several years traveling and living throughout Europe, Asia, Australia, and the West Indies, and would love for her travels to take her to the North Pole or Northern Scandinavia to see an Aurora Borealis. Elisa's motto and advice for students is: "Wherever you are, go with the flow!" Isabelle comes to CEA with extensive experience in business administration, having worked for over 20 years in human resources and general administration for international companies, mainly in the petrol industry. She has held different positions from Executive Assistant to Human Resources Specialist, and has a particular interest in law. She studied law at the Université de Paris XIII – Saint Denis, before spending two years in Montréal, Canada where she participated in the launch of a French grocery store. Isabelle is a born and raised Parisian and still lives in the city with her husband. She has two sons: one who is a chef at his restaurant in Paris and one who is studying psychology in Montréal, Canada. He began his career working as a film programmer for the Capalbio Short Film Festival in Italy. Colin lived in Rotterdam for a year and then moved back to Paris to work in film production. He is an active member of the short film selection committee for the Cannes Film Festival and speaks French, English, Italian, and Dutch. Colin holds a Masters of Arts in Film History from l’Université de Paris 7 and Wesleyan University, and a Bachelor of Arts in Literature and Film Studies at l’Université de Paris 7. Colin’s view on travelling and living abroad is that one should listen and observe at least as much as one talks, probably more. In the end, we are much more similar than we are different, but it can be difficult to grasp that without having a common “cultural language.” All cultures should communicate and enrich each other, so be yourself, share, and absorb as much as you can!